Vladimir Vinogradov, head of the Laboratory of Solution Chemistry of Advanced Materials and Technologies, ITMO. A magnetically-influenced drug rapidly dissolves blood clots and has fewer side effects. Scientists at ITMO University are cooperating with the Mariinsky Hospital in Saint Petersburg to develop a drug that can be targeted on a blood clot by means of a magnetic field. Their research results were published in Scientific Reports. The new drug is safe for intravenous injection and can dissolve clots up to 4000 times more efficiently than ordinary enzyme-based drugs. In thrombosis emergencies the clot must be eliminated within four hours. If not, then the lack of blood flow can destroy body tissue. Even if the patient is fortunate enough to undergo thrombolysis, there will be numerous complications caused by the thrombolytic drug, which is a specific enzyme injected intravenously to dissolve blood clots. Russian scientists instead offer a composite material that can deliver thrombolytic enzymes in a safe and targeted manner. The new material is composed of a porous magnetite structure and molecules of urokinase, which is an enzyme frequently used in medicine as a thrombolytic agent. The composite is used to create thrombolytic coating for artificial blood vessels and stable injectable solutions that are made of nanosized particles. These can be easily localized near the clot by means of an external magnetic field. Even more importantly, the magnetite structure also protects enzymes from various inhibitors that are present in the blood and which can deactivate thrombolytic medications. This work is a logical continuation of earlier studies devoted to placing enzymes into a sol-gel magnetite matrix, and the production of magnetically controlled bioactive systems. 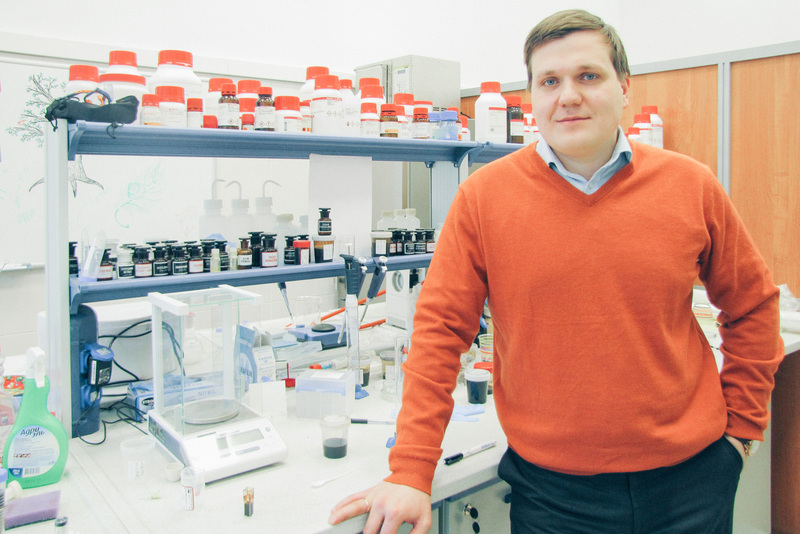 “The results may soon allow us to try out the new thrombolytic system on mammals, and we are now preparing for preclinical studies,” said Vladimir Vinogradov, head of LSCAMT.